Can a simple blood test speed up diagnosis of Hodgkin lymphoma? Children with Cancer > Research Projects > Can a simple blood test speed up diagnosis of Hodgkin lymphoma? Hodgkin lymphoma is one of the most common cancers affecting children and young adults. Although the cure rate is high, it’s easily mistaken for other diseases, like glandular fever. Finding a simple way to diagnose it earlier would help children avoid unnecessary illness, and maybe mean less intensive treatment. This project is looking at how a new blood test could help. Because cancers are rare in children, and Hodgkin lymphoma usually shows as lumps in the neck with more general symptoms like tiredness and night sweats, doctors often think it’s something common like glandular fever. A new blood test for this type of cancer could make diagnosis easier. Lymphoma is a form of blood cancer affecting the same cells as leukaemia but in lymph nodes rather than bone marrow. Cancerous cells cluster in the lymph nodes and form solid tumours. They can also spill into the blood stream and spread the cancer around the body. Hodgkin lymphoma usually affects the lymph nodes in the head and neck, and non-Hodgkin lymphoma can affect any lymph node in the body. It’s one of the most common cancers in children, teenagers and young adults, with around 340 cases of Hodgkin lymphoma every year in the UK, mostly affecting children older than 10. Blood samples from people with untreated Hodgkin lymphoma usually contain high levels of a molecule called CCL17. So it’s possible that a simple blood test could be used to distinguish it from more common diseases like glandular fever. Then we could refer children more quickly for treatment. We don’t yet know enough about CCL17 levels in other diseases. So before we can use this test to screen for Hodgkin lymphoma, we need to learn more and see whether the test can pick out children with Hodgkin lymphoma from others with similar symptoms. The study may lead to a blood test that will help diagnose Hodgkin lymphoma. Many people with this cancer have tests for glandular fever or other simple blood tests first, and hospital referral is only arranged once doctors realise they’re dealing with some more serious. If we could test at the same time as glandular fever testing, children with this disease could get treatment more quickly. The team will measure CCL17 levels in 100 to 150 samples using a test that’s been extensively used in Ruth’s laboratory. First, they’ll test people who doctors think have Hodgkin lymphoma to see whether the CCL17 test can correctly identify those who actually have the disease. Then they’ll test a random selection of around 1,000 blood samples from younger and older children being screened for other things. This will help show whether raised CCL17 levels are found in other diseases. Finally, they’ll test 1,000 samples submitted for diagnosis of glandular fever, since some of them might actually come from people with (undiagnosed) Hodgkin lymphoma. If that works, we may be able to start doing CCL17 tests at the same time as glandular fever testing. 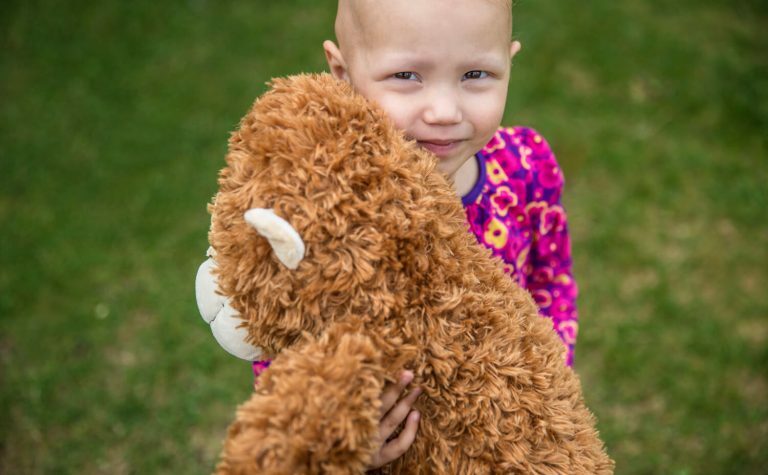 Hodgkin lymphoma already has a high cure rate, but it’s possible that spotting it sooner, when it’s spread less, could make treatments easier for children that need them. 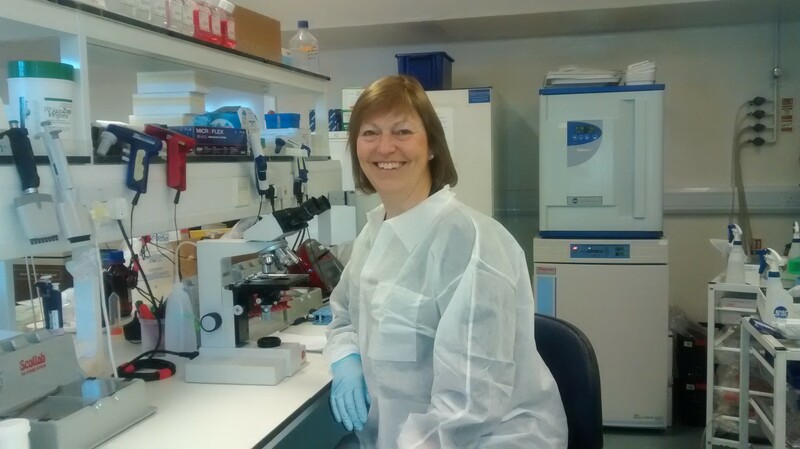 Ruth Jarrett is Professor of Molecular Pathology at the University of Glasgow and an Honorary Consultant NHS Pathologist. She is a leading expert in lymphoma in children and young people, and she and her group believe that CCL17 testing has a role at several points in the care pathway. Professor Frank Sullivan and Professor Bruce Guthrie have a wealth of experience of research in hospitals and laboratories. They’ll help to decide whether to start using this test on more children. Mr Omar Hilmi is an ENT surgeon, who’ll be helping to make sure that doctors know about the test so they can refer children who might need it. Find our about our life-saving research projects! Find out about the difference we've made! We've got lots of fantastic events to take part in!